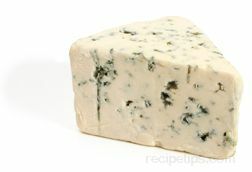 Adelost Blue is a variety of blue cheese that is produced much like the well known Bleu d'Augverne cheese. It is a Swedish cheese that is made from cow's milk and is characterized by streaks of dull blue mold that run throughout the cheese. Adelost Blue is also characterized by its moistness and creaminess. When the cheese processed, it is formed into drum-shaped cylinders that weigh approximately five or six pounds (two or three kilos). Encased in a natural rind dusted with molds, Adelost Blue cheese has a sharp, tangy flavor that makes it an excellent choice as an ingredient in salads, for use as an appetizer, or for serving as a dessert cheese. Baked cheese is a type of specialty cow's milk cheese that is common in Sweden and other Scandinavian countries. The cheese is baked during the production process, developing a golden brown surface that has an appearance similar to a baked crepe. As the cheese bakes, the sugars in the cheese form a light caramel coating on the outer surface, while the interior remains its natural color. The resulting flavor is rich and creamy combined with a slightly sweet overtone. When baked cheese is sold outside of Sweden and the other Scandinavian countries, various names are used to market the cheese. The Swedish word, ostbröd, is a name that is commonly used when marketing baked cheese. The Finnish word, juusto, which, in English, translates to "cheese," is also used, as is the word, juustoleipa, which means "bread cheese." This name is derived from the bread-like appearance that is suggested from the oven-baked quality and browned outer surface of the cheese. 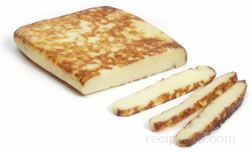 Bondost is a cow's milk cheese that originated in Sweden. It is made into small wheel shapes that are five to eight inches in diameter and about three to five inches thick. Bondost cheese is produced from either raw cow's milk or pasteurized cow's milk, and it is often flavored with ingredients such as caraway seed or cumin. It has a texture that is firm and a flavor that is mild. When the cheese is produced, it is cured in brine and then allowed to dry. It is ready to be eaten in approximately two months. There are several varieties that are cured for only one or two days, but the most flavorful varieties are those that are cured from several weeks to two months. Although Sweden is where the cheese originated, a version of Bondost cheese is also produced in the United States. Bondost can be served as an appetizer or simply as a snack. The name of the cheese is sometimes referred to as Bond Ost. Graddost cheese is a Swedish cow's milk cheese that has a firm texture and mild flavor. It is comparable to the Danish cheese, Havarti, with its distribution of small holes throughout the cheese. Graddost is an excellent choice to serve as a snack or appetizer and it makes a tasty addition to sandwiches. Greve is a semi-hard cheese made from cow's milk. It is similar in appearance and taste to a Swiss cheese, such as Emmental, but it is native to Sweden. Greve has a dense, creamy texture, and it contains large holes throughout. This cream-colored cheese has a sweet, nutty flavor that becomes more intense as it ages. The cheese ripens in about ten months. Greve cheese is commonly served as a table cheese, snack, or appetizer. Its semi-hard properties also make it a good grating and melting cheese. Greve may also be referred to as Gréveost. Herrgardost is a very popular Swedish cheese made from cow's milk. 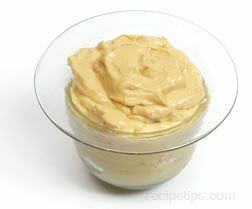 It has a pale yellow color and a soft supple texture. The cheese contains many small holes throughout. 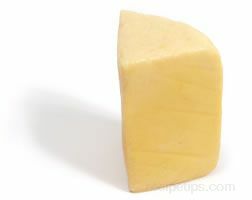 The flavor of the cheese is very similar to cheddar: nutty and somewhat tangy, which intensifies with age. Herrgardost cheese is typically aged for six months or more if it is made with whole milk or approximately four months if made with skimmed milk. It is a good choice for snacking, for use in sandwiches, or for adding to salads. It also had good melting properties, which makes it useful for a wide variety of recipes. Herrgardsost cheese may also be referred to as Herrgard cheese. Kryddost is a Swedish cheese that is notable because it is seasoned with caraway and cloves, which give the cheese a distinctive flavor. In order for the cheese to reach its optimum flavor and texture, it needs to ripen for several months before it can be eaten.